High power density in our 174-301 hp Perkins diesel engine models often allows equipment manufacturers to use a smaller-footprint engine. These engines allow equipment to face the day-to-day challenge with high power and excellent performance. 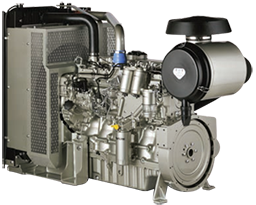 Perkins engines also offer lower fuel consumption and longer service intervals, lowering your equipment operating costs. If you’re looking to repower or for a top-value repower option, we also provide our line of remanufactured engines.